As a fan of classic games, I’m not big on emulators. I prefer owning a physical copy and playing the game the way it was intended to be played. That said, I understand that their convenience makes emulators very popular, and I have used one or two in my day. So I understand who the GPD Android Game Console XD is geared towards—those who like classic games, but who don’t want to sink a lot of time and money into hunting down old titles. 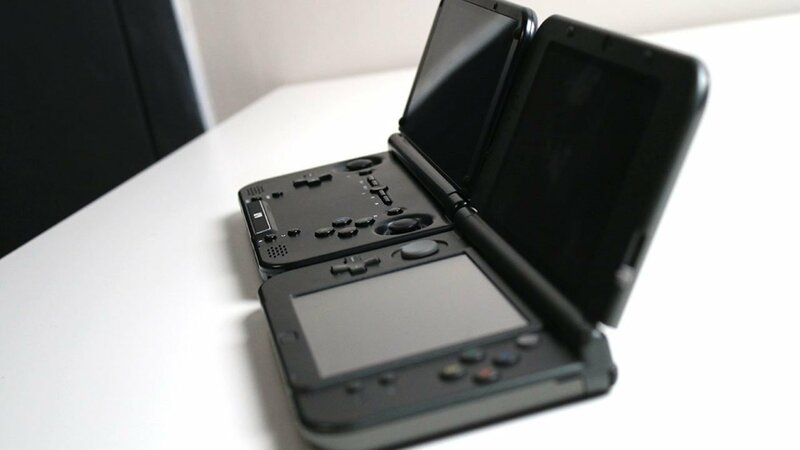 With a DS-like shell and an Android tablet under the hood, the GPD Android Game Console XD is not only an emulator, it’s also a streamlined device that aims to completely bridge the gap between handheld and mobile gaming . Unfortunately, despite making a fair amount of headway towards realizing that ambition, the system also has clear faults. I was actually surprised at how many games come packaged with the GPD Android Game Console XD. Right from the moment you turn on the console , you have access to arcade games, SNES titles, N64 games, and a PS1 and Dreamcast game apiece. That’s on top of the three other emulator apps that come packed in as well, which allow you to download anything that comes to mind. The sheer amount of titles available is overwhelming. Even better, s these emulated games often look and play better than their original counterparts. Navigating to them kind of confusing at first, though, since many of the titles are represented by pictures for other games instead of their own l covers on the main menu. It was kind of funny, especially since the device itself comes in one of the weirdest boxes ever, emblazoned with the quote “when you smile, the world loves him; when you laugh the world fears him.” There is no context for this at all, and combined with the misplaced game covers, this gave me a very strange introduction to the console. I encountered more serious issues when I started playing some emulators, though. I witnessed some titles (specifically N64 games) have parts of the game drop out, or flutter, or in some cases, crash completely. There were other weird mishaps too. In one instance I ran Shenmue and Ryo’s eye started protruding from his cheek every other scene. While it was funny, it concerned me. Maybe it’s just an emulation issue, but I encountered it enough to make note of it. that being said, messing around with some settings fixed many of the issues, and I never experienced any problems with apps from the Google Play Store. – my issues came exclusively from emulators of 3D games. I don’t think the crashes are an issue with the GPD Android Game Console XD itself, because it’s not underpowered by any means. It packs a Rockchip quad-core processor, a five-inch touch screen that supports 720p resolution, and two gigs of ram, all running on Android 4.4.4. In layman’s terms, it’s a decent tablet, though not top of the line. It’s casing bears a striking resemblance to Nintendo’s DS and 3DS family, sporting a closable shell with the screen sitting on the top and the button interface on the bottom. 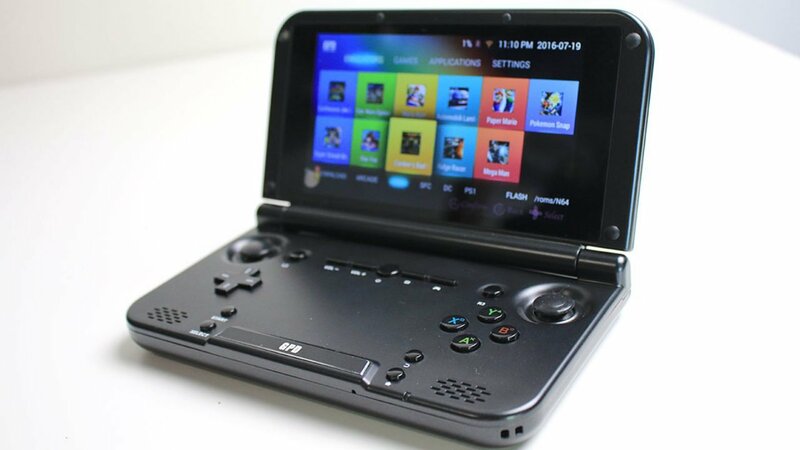 Unlike the device it took inspiration from, however, the GPD Android Game Console XD features two thumb sticks along with the traditional, familiar four face buttons, D-pad, and bumper. It also possess some extra buttons that allow you to mess around with the system and how it runs games. Finally, it features an HDMI output so you can hook up your device to a TV and play on a bigger screen in the comfort of your own house. I couldn’t get over how much thought seems to have gone into designing the device. Yet though the design is solid, it’s implementation leaves a bit to be desired. The GPD Android Game Console XD feels as if it’s made of slightly cheaper materials than you’d expect. 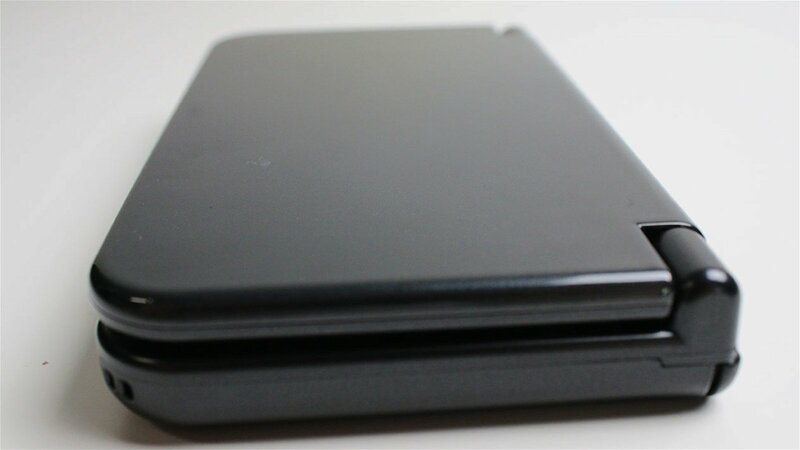 The screen hinges don’t click the way they do on the 3DS, making it feel less secure, and the plastic does not seem high end. On top of that, the D-pad feels flimsy, the face buttons sink weirdly when you press them, and the bumpers click strangely when you squeeze them. I constantly found myself unfairly comparing the build quality to the 3DS and being disappointed when it failed to live up to the standards of the console that inspired it. Despite these flaws, its design is solid enough that it nonetheless manages to look like a serious gamer console and not a toy. 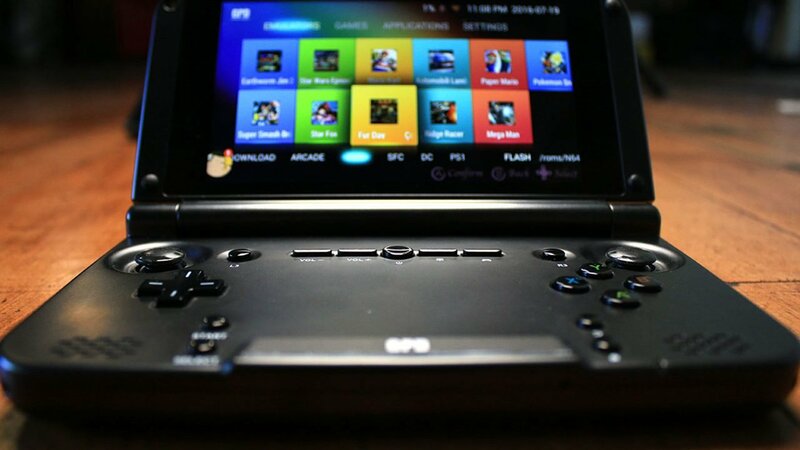 The GPD Android Game Console XD is still a tablet through and through, and despite its gaming focus, it functions like most Androids do, just with a bit of a different interface that better accommodates gameplay and app organization. I still had access to Google Play, and used many of my favourite non-gaming apps with ease. And that’s where this console becomes a really great interconnected device. I could play something like Castlevania: Symphony of the Night while talking to my fellow writer Jordan Biordi on Facebook Messenger. I could switch from Metal Slug to Microsoft Word to do a quick news story. I know those are pretty basic apps, but it’s convenient to say the least. It makes for a great bridge between two worlds I hadn’t known I wanted to intermingle. Ultimately, that’s the best part of the GPD Android Game Console XD. It’s an interesting concept that, for the most part, does what it advertises. It has the ability to make mobile games a little more playable, and its included emulators really make it worth the purchase alone. Yet, some cheap construction issues and the problems it has running certain games hold it back. But if you can get past that, this is a very functional first step in the melding of mobile and handheld gaming. Editor’s note: Interested in picking one up? You can get it at Everbuying or GearBest. With a weird package and a borderline illegal premise, the GPD Android Game Console XD looks to bridge mobile and handheld gaming with emulators and tablet functionality.